MARKETS…Mike Holland, chairman of Holland & Company will discuss the markets with Dan Yergin, chairman of Cambridge Energy Research Associates. GOP PRESIDENTIAL CANDIDATES’ APPROACH TO TAXES…on board to discuss are Bill Simon, advisor to Mayor Giuliani; Vin Weber, advisor to Governor Romney; and Douglas Holtz-Eakin, advisor to Sen. John McCain. IMMIGRANTS & JOBS…U.S. News & World Report’s “Jimmy P” Pethokoukis will debate Terry Jeffrey, editor-at-large of Human Events. IRAN/IRAQ/AL QAEDA ON THE RISE…Lt. Col. Rick Francona (USAF Retired) and Tom Ricks, Pentagon correspondent at The Washington Post will offer their perspectives. 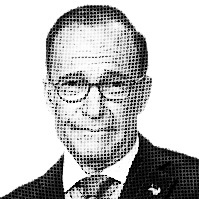 Please be sure to join us at 5pm ET for another edition of Kudlow & Company, where we still believe free market capitalism is the best path to prosperity.